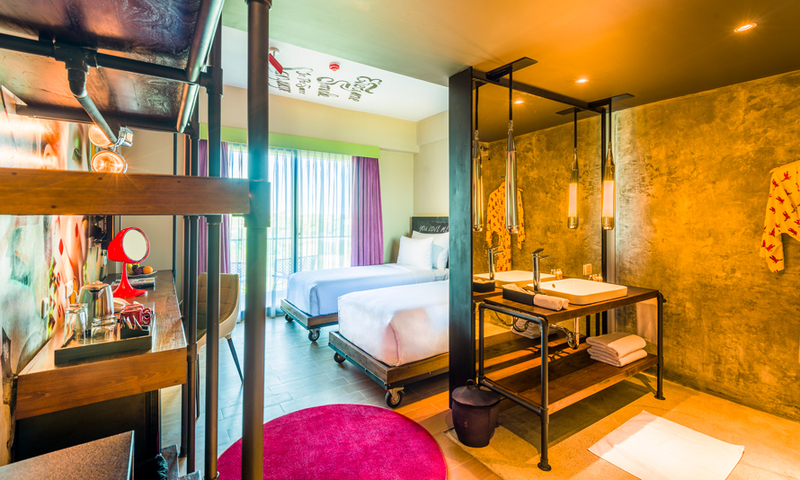 With custom iron furnishings, graffiti artwork and retro industrial chic light fixtures, these rooms are both stylish and comfortable. Each studio has city views and a balcony. Combining glam and grit, the Dash Deluxe rooms have timber beds constructed from a Javanese joglo and iron headboards to reinforce the industrial ambiance. Each studio has pool views and a balcony. 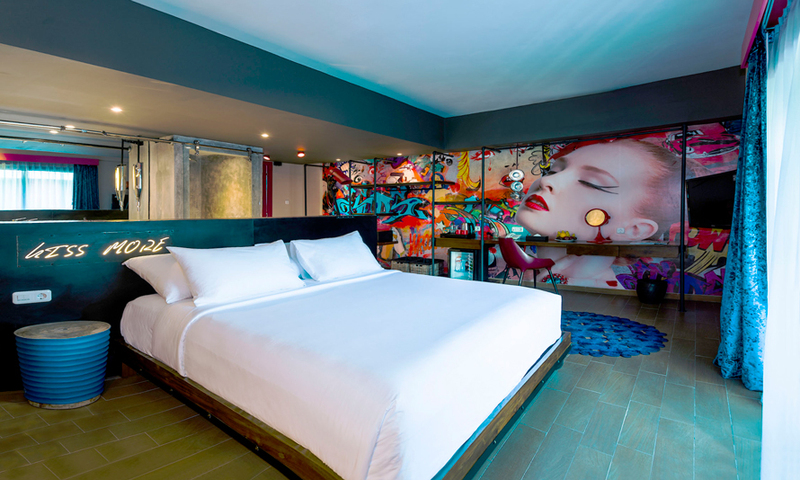 A multi award-winning property, Dash Hotel is a stunning fusion of art, fashion, sculpture and industrial design and a fantastic base to explore beautiful Bali. Dash Hotel is located in trendy Seminyak, opposite the iconic Potato Head Beach Club, and just a short 10kms away from Kuta Beach. You will find internationally recognised bars, restaurants, nightlife and, of course, the beach within walking distance. Today depart from either *Sydney, Brisbane or *Melbourne for Bali. Fly with Jetstar including 20kg of baggage. Upon arrival be be met and transferred to the hotel. Today is at leisure for you to either relax or explore. After breakfast you will be transferred to the airport for your return flight back to Australia. *Please note, some flights may arrive in Australia +1 day later. Travel offer is valid for travel on selected dates until the 7th November 2019. Please note: dates with a ^ incur a high season flight surcharge of $200 per person. *Sydney or *Melbourne: $100 per person. Jetstar plus any codeshare partners (subject to availability). - 20kgs of luggage is included per person. - In-flight meals and entertainment are not included. - No child discounts. Full price applies for any child travelling with their parent. - In-flight meals and entertainment. Gratuities (tips) are not included in the tour price for services of the tour leader (when available) and driver throughout the tour. Gratuities are optional and at the customer discretion. - 1st Change - $100.00 per person + any additional charges applied by the airline/accommodation/other travel provider. - 2nd Change - $150.00 per person + any additional charges applied by the airline/accommodation/other travel provider. - Subsequent changes - $250.00 per person + any additional charges applied by the airline/accommodation/other travel provider. - Changes within 30 days of departure $350.00 person + any additional charges applied by the airline/accommodation/other travel provider. - Changes within 14 days of departure $500.00 per person + any additional charges applied by the airline/accommodation/other travel provider. - If the incorrect name has been advised to TripADeal, charges of $150.00 per person + any additional charges applied by the airline/accommodation/other travel provider will apply.